Not one, but nine Motorola phones have just been leaked, seemingly giving away the company’s entire 2017 line-up with new handsets on the way in the Z, X, G, E and C lines. The information all comes from a single photo, which was shared by reliable leaker Evan Blass, and shows a presentation slide, complete with the names and key details of a number of handsets. Starting with the top-end Z range, there’s the Moto Z2 Play, which apparently has a 5.5-inch full HD screen and support for Moto Mods, and the Z2 Force, which is shown as having a tough ShatterShield display, support for Moto Mods, and gigabit LTE, meaning it can support the fastest mobile data speeds. That likely also means the Z2 Force will use the Snapdragon 835, since that’s the only Qualcomm mobile chip that currently supports gigabit LTE. 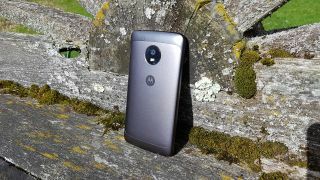 Moving on down, there’s the Moto X (2017), which according to other recent leaks may be called the Moto X4. This apparently has a 5.2-inch full HD screen with a ‘SmartCam’ and 3D glass, which could mean slightly curved edges – though we wouldn’t expect anything close to the curves on the Samsung Galaxy S8. Then there’s the GS and GS+, which Blass notes will likely be called the Moto G5S and Moto G5S+. The G5S apparently has a 5.2-inch full HD screen and a full metal body, while the G5S+ is listed as having a 5.5-inch full HD screen and a dual camera. We’ve seen leaked shots of a dual-lens Moto handset in the past. They were thought to be of the Moto X (2017), but this suggests they could actually be of the Moto G5S+. Moving on down to the new Moto E (likely called the Moto E4), that will apparently have a 5.0-inch 720p screen, 2.5D glass and ‘FPS’, which likely means a fingerprint scanner. The Moto E4 Plus meanwhile will have 5.5-inch 720p screen and a huge 5,000mAh battery, as has been rumored before. Then, at the very bottom end there’s the Moto C and Moto C Plus. The Moto C is shown as having a 5.0-inch 480p screen and likely 4G (though someone’s head is blocking part of the text), while the Moto C Plus has a 5.0-inch 720p screen and a 4,000mAh battery, which lines up with previous rumors. That’s quite the leak, and while it’s possible that it could be fake it looks convincing, especially as it largely lines up with things we’ve heard before. We should know how accurate it is soon, as at least some of these phones are likely to land in the next few months.